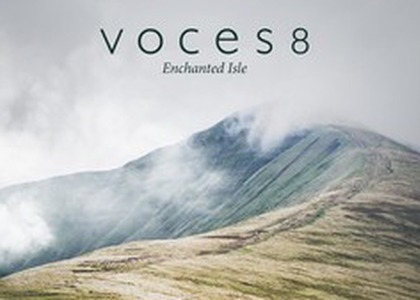 British vocal ensemble Voces8 is one of the most valuable and most successful a-cappella ensembles, known for its passion for promoting choral music all around the world. The eight members perform concerts and go on tours six months out of the year. Their repertoire includes works from early Renaissance, pop and jazz music performed a-cappella, as well as with different ensembles, orchestras and soloists. When they are not busy performing, they are involved in a new innovative educational program. Over 25.000 young people, from children to students, not only from England, but also from Japan, USA, Germany and France study the VOCES8 method each year. Paul Smith, the man behind the VOCES8 method and an enthusiastic promoter of it, started singing at the age of nine at the Westminster Abbey choir and, just like the three other members of Voces8, he considers himself very lucky for having this chance and for his education. Now, all he wants is to share his experience with anyone who is interested in it. Beyond music education, he aspires, with the help of choral music performed by amateurs rather than professionals, to establish a form of communication as a community, one that seems to be lost nowadays. Let's talk a little bit about this new album, Voces8. It includes traditional Scottish and Irish works, film and television music - themes from Lord of the Rings, Game of Thrones, pop music, but also new songs composed to the lines of some notable English poets, the music following a homogenous scenario linked to atmosphere, dynamics, sensitivity. The sonority is surreal, the harmony is complete and there's a nice ambience everywhere. Nothing seems to disturb the music's flow, which might be appropriate for later. There are also some well-known instrumentalists, such as: cellist Thomas Gould, harpist Eleanor Turner, cellist Matthew Sharp and the Irish flutist Gareth McLearnon, as well as Sibéal Ní Chasaide, a voice of traditional Irish music. Thanks to the musical arrangements in this new album, 'Enchanted Isle', the British musicians succeed in bringing together several classical pieces. Specifically we're talking about Samuel Barber's Adagio, transformed into a-cappella in Agnus Dei, contemporary scores by Sir John Tavener, Eriks Esenvalds, Thomas Adès, Toby Hession and Dan Forrest, alongside Radiohead (Pyramid Song), Enya, and even some traditional repertoire with some Celtic elements, adapted to the Voces8 sonority. There's nothing more to say about the way the 8 voices - 2 sopranos, an alto, a countertenor, two tenors, a baritone and a bass harmonize together, or the joy and the serenity these artists transmit through their music. Enjoy!